Some local fly fishing groups are doing great conservation work. Here is a Tim Flagler video, for example, on a restoration project in NJ. But, I’ve heard that some of our local fly fishing groups are really struggling to add new members. Moreover, I was on the Reddit fly-fishing sub and came across this thread. The poster essentially asked: “What will it take to get you to a local fly fishing meeting?” There was a long list of 38 comments, and they’re rich with feedback. The summary: Very few people attend local chapter meetings. I’ve belonged to a local chapter for a few years, and, unfortunately, have never been to a meeting. I always want to go, but, in the end, with work and family, something comes up. And, when I do have free time, I’d rather use it to fish. I know many other avid anglers who also have never been to a local chapter meeting. But, I renew my dues each year out of a sense of duty, but, I have focused my personal conservation donations on the Theodore Roosevelt Conservation Partnership after many anglers whom I respect raved about it. So, what about you? Do you go to local chapter meetings? Why or why not? In the Internet era, can local chapters thrive (e.g., Amazon vs. book stores, Craigslist vs. newspaper classified ads, eBay vs. flea markets, etc.)? 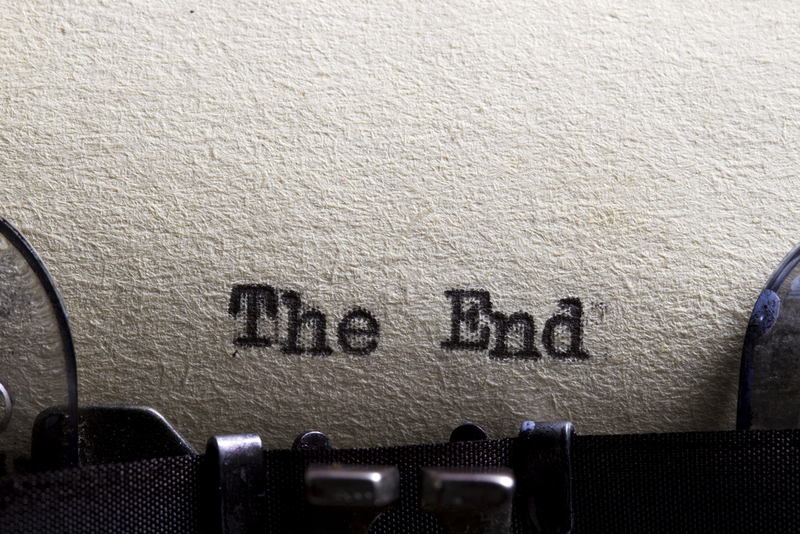 Does the Internet mean “The End” for many of them? I used to mail out over 450 newsletters to chapter members and usually the same 30 showed up at meetings unless you had a celebrity speaker. Hold a work party and the same few showed. Same with other clubs. I guess everyone assumes “the other guy” is taking care of their club membership responsibilities or that just a membership in a conservation organization will make a difference. This has been going on for many years and maybe the proliferation of electronic media has accelerated the trend. The solution….? Good question. And for people under the age of 40, email isn’t a great way to reach them IMO. If I may ask, what made you step back from the outreach role? Are you still active with your local chapter? Back in the day….it was all snail mail with stamps, staples, folding etc. Was time to pass it on to someone who could use new media and they do to good effect. Still participate in projects, active in other clubs, and MA Hunter Education. So much heroic work, Steve! Curriculum based 10 week adult tying class, rod building, and the best kids fishing education program in NE! Meetings every Monday night in Oxford, well attended and still going going strong! Clubs have got to offer something that I can’t do more comfortably from home. I’d much rather watch videos/presentations, tie flies, and work on leader recipes at home with a beer or two than in some freezing cold function hall with the 60+ crowd who can’t be bothered to respond to any of my questions with much more than a grunt. I would join TU, but the RI chapter is in direct conflict with my stance (shared by others) on establishing a wild brook trout, C&R only section of the wood river. I just can’t support a group like that. What’s the argument against having more C&R areas and more wild fish? Not judging, just curious. Currently RI has one single 2 mi stretch of C&R fishing on the Falls river. This section, however, dries up fairly quickly in the summer. Native brook trout have been found in several other water sources, ones that also happen to receive a generous stocking of rainbows and occasionally browns. DEM insists that stocking over these areas has no impact on the wild population, and local TU supports this notion. IMHO, it has more to do with increased stocking and catch & keep areas being a driving factor behind license sales. I just don’t know if RI has enough of a C&R oriented angling community to really warrant more locations. I’m sure the issue is much more nuanced than what I’m getting at and although controversial at times, the guys who run PRIBT likely have a greater understanding of the issue than I.
Wow. That’s frustrating. Connecticut is the most organized about surveying waters and then classifying waters. I know MassWildlife is starting to survey more however. No clue about RI. Mass and Ct are both lightyears ahead of RI when it comes to water management. Take one look at the RI fish & game website, compare it to CT and MA and you’ll get the picture. There have been a solid handful of graduate students at URI that have done surveys of wild brook trout which have been used to support the creation of more C&R areas. Our DFW dismisses these studies as being overly biased and misleading, local TU has, for the most part, supported them. The most we’ve ever gotten is a “we’ll think about it”. It’s all about the $$$ to them. I don’t mean to piss off our local TU guys, but standing in opposition to more conservation and C&R areas seems to go against the national cause. After extensively fishing MA in 2016/17, I have given up on my state and will be turning to MA and CT for my license purchases and recreation for now on. My state is a joke compared to it’s neighbors. I think it moved to the internet. This is a great forum with regulars and a lot is covered and discussed. http://www.stripersonline.com/surftalk/forum/10-fly-fishing/ . With regards to doing conservation work, a network of connected anglers, in person or online, can do a lot. Ciro – thanks for the reminder about StripersOnline. I’d been a regular there years ago, and when they changed format I left… I’m going to have to go check it out again. there were some awesome fly fishing brains for fresh and salt water there! BFF, when you say ‘Local Fly Fishing Groups’, to what are you referring? Local chapters of National Organizations, like TU, or groups like Dan mentioned (or similarly, local rod & gun clubs). Personally, I don’t consider TU to be a local group. They are a national organization with local chapters; big difference, IMO. I’m a member of TU and also am part of OARS and the Farmington River Anglers Association. They all have different goals, but, I’ve never been to any meetings. My sense is some are doing better than others, and so, I was just “writing out loud” about the issues that some seem to be encountering, and the Reddit post got me thinking about the topic more. Some fly fishing groups are doing well, even thriving. I think part of the issue amounts to the fact that chapter meetings don’t appeal to everyone. Some folks would rather tie, some would rather go on fishing trips, others do conservation work. A healthy club is a diverse one, and some of the difficulty with local fishing groups has been the inability/unwillingness of leadership to adapt. Some would rather bemoan the ‘death’ of their group than try something new. That’s great to hear. If you’re comfortable, can you mention some local groups that are doing a good job? I’d love to see what they’re doing that is engaging their members. No worries if this isn’t an appropriate ask. Elks in Holyoke, MA (western part of the state.) I’ve been on the board 15 yrs. and a state council rep for 6. One of my goals as pres. was to increase membership. I did that by talking up TU’s mission and the good river work done by various chapters. 3/4 of our current board members were all recruited by me. If you’ve fished the Swift River, you have Pioneer chapter to thank for the many improvements we spearheaded for over 20 yrs. This goes from the benches, foorbridges and stairs in recent years, to the 3 diverters (1 stone and 2 wooden), boulders placed in the Hemlock Pool area, anchored subsurface planks for structure, along with a minimum flow cfs from years ago. Plus, the removal of the fallen train tressle rock dam below Rt. 9 and its riparian plantings. And several insect studies. All to improve river conditions for trout survival. And they have. None of the local chapters have attendance any where near its membership numbers for various reasons. That’s okay. Attendance isn’t mandatory. But if you believe in healthy rivers, continue paying your dues, whether or not you are active in a local chapter. Your money is going to good places. And our total membership numbers (about 4,000) for MA and RI, gives TU more weight to its voice when we speak, especially to government people. So keep fishing, and know that TU has helped you enjoy your time in the water. Thank you Gary for your work out there. The work on the swift, coupled with some of mother natures help (fallen trees) has really been a boom to that river since the mid-late 90’s. Thanks to you and the folks at PVTU for all the work out there! Speaking of the fallen trees…..we got lots of complaints about them…casting problems, more difficult wading, etc. We pulled in a state guy from DCR to survey the trees with two of us from TU. He said, of course, leave them there; trim a few if they were a hazard to wading, which we did. We knew the trees improved conditions for trout and for insects, and wanted a state official’s letter to tell all the complainers just how good the trees in the water were. They didn’t believe us, but they did the state guy. And they soon found out that there were more trout hanging near the trees. Sure, there are some tree jams that one can’t cast to, but that’s good for the fish, considering the pressure they get from us. Hi Gary, thank you for your comment. In all honesty, one of the reasons I keep paying my TU dues is you. You’re an exemplary angler and conservationist. You are always thoughtful. You are welcome, Jo. For the love of Trout. New England Fly Tyers – I used to attend religiously – pre kids and for a year after. Then kid illness, then life, just get in the way. That’s a great group, the kids program they do is amazing. I remember one year when all the kids walked away with an orvis starter outfit! It’s a good bunch of folks, but for where I’m at in life, I just cant spare the time to get down there to oxford to take part. Technically still a member, but havent been to a meeting in a few years. I’m a member of the Millers River Chapter of TU as well – I’ve never been to a meeting. I just like TU, and viewed that as my “local” chapter. Their facebook page is good though, and it’s fun to see what folks are tying up and catching as the season progresses. So, if I like these things, why am I not more active… Life. At this point my man hours go to family, work, then hobbies. Currently I put more of my volunteer hours towards mountain bike trail access because of a a huge issue that’s developed in that respect here in central MA. My observation is that it’s often retired guys who are still in good health that really steer these clubs. The folks who are still in the midst of kids and work and what not can sometimes show, and other times not… But “we” are tough to rely on for volunteer tasks. As life seems to get busier, I think that same challenge will only grow. Will, thanks for the comment. Best to you and your family. Will, you missed my presentation to the Millers River Chapter last week! Was on winter fly fishing the Swift. I also gave everyone there a handout with photos and recipes on best winter flies. Gary – talk to BlogFlyFish and see if you can guest post 🙂 your presentation! Sounds awesome! Gary, that would be great! Will, great news. Gary just shared with me his presentation. Am working on getting it up on the blog. Stay tuned. Gary, thank you for your generosity to the fly fishing community. Your slides are amazing! Jo, can you run a PowerPoint presentation on this site? It is not posted anywhere, so no links would work. You’d be the first to have it online. Lots of nice trout photos, plus lists of hints as slides, includes fly photos and their recipes. Yes. Email me the presentation, and we can coordinate on it? Want to make sure it looks how you want. Count me in as looking forward to seeing this presentation.